995G, Garden of the Gods Rd. Detailed, line Item job budgets. 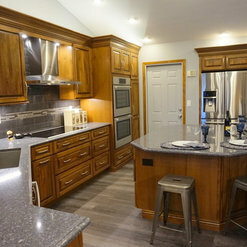 Kitchen & Bath Renovations, Whole House Renovations, 45 Years of Industry Experience. I am committed to getting jobs completed on-time and on-budget. I am pro-active in Budgeting, Planning, & Scheduling I am committed to breaking the trend in the Construction Industry of loosing control of the budget and schedules. I am personally on the job site on a daily basis or communicating with clients on a daily basis. 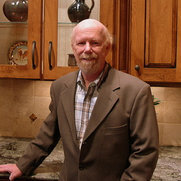 I schedule and manage any or all Sub-Contractors needed for the project. I am the point person for all questions and concerns that are a part of remodeling and love problem solving. I love my work and interaction with clients in the decision making process and enjoy the process of change that makes up Kitchen & Bath renovations. Our project was completed over 2 years ago. 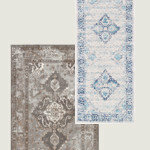 We were very happy with RJL Designs. He listened to what we wanted and never tried to talk us out of anything. What he did do was offer suggestions and maybe better ways to get the results we wanted. He hired excellent subcontractors, particularly The father-son team who did the tiling. We had heated floors installed in both bathrooms. After one year the one in the master bath stopped working. I worked with the tile subcontractor for several months with no results. I finally went to Rylie with the problem. Within days he had the tile taken up, a new heat mat laid down, and new tile installed. The bathroom is once again beautiful and warm. I am writing this review because I was so impressed with how fast Rylie got the job done. I wish I would have brought it to his attention sooner. I strongly reccommend RJL Designs for any remodelling project. We were very pleased with RJL Designs. Rylie is dependable, meticulous, and was constantly checking in to make sure the project was running smoothly. He also has an eye for decorating and is a great communicator. Our new fireplaces, pantry, and butler’s pantry and flooring is beautiful! We highly recommend RJL with no reservations! This project was very challenging due to restrictions and access in our condominium complex, but Rylie and his crew did a magnificent job.! They were extremely conscientious and flexible. Every obstacle was met with optimism and resulted in success. I am impressed with how quickly the project was completed. Every room in our home had work done to it. It was completed before schedule. Rylie was punctual and communicated with us about progress all along the way. 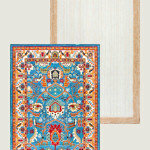 The design and workmanship are beautiful. I’m very happy with the my newly remodeled home! 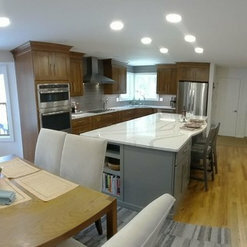 The coolest thing about our kitchen renovation is the reaction of friends, neighbors, workmen and family when they walk in the front door and stop, mouth falls open and they say “WOW”. We can’t thank Rylie and his seasoned group of incredibly talented, fun, friendly contractors enough. We found Riley to be a great communicator at all levels, with us, with all his sub-contractors and with the other construction companies that were needed to complete the renovation. All sub-contractors went out of their way to notice small things around the house that needed to be fixed and asked if we wanted them fixed. All workers were pleasant to be around and respected us and our home through the whole renovation process they never hesitated to help our 93 year old mother up or down stairs when needed. Work was completed on or before schedule, and within budget. We could tell Riley has been doing renovations for a long time and has worked with his team of people for a number of years. Everyone who worked here was professional, and they were good communicators and did quality work. Riley showed a genuine interest in our values around what “home” meant to us and worked to help us flesh out our design preferences and we felt we were very much a part of a “team effort” from the beginning. When our schedule had to shift due to a death in the family Riley was understanding and flexible. High standards were a part of the total process. You know when professionals in related fields make unsolicited glowing comments about Riley’s high standards that you’ve made the right choice. 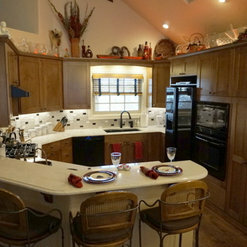 Our new kitchen is beautiful, functional and a delight to be in each and every day! Hired Rylie to update kitchen and master bath in a recently purchased home. Final results are satisfactory, the process getting there could have been better. 1. From first meeting with Rylie we were adamant about having the appropriate permits. It was only after an errant comment by the plumber that we discovered that the permits had not been applied for. His reaction when questioned about it verified that he had no intention to have the subs pull the permits. 2. As we were getting all new kitchen appliances, Rylie suggested a package by Bosch which we ordered through him. 5 hours after signing contract, we get an email from Rylie stating that the stove oven combo that we ordered was no longer available and the model that was available was over $500.00 more. 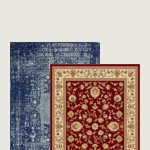 We looked online at both the Bosch and Lowe's websites and both showed the model we wanted was available. We let Rylie know this information and said that we would order it ourselves and to take it out of the contract. Within an hour we get a response that ALL appliances had been ordered. I feel that this was a bait and switch attempt or at least he thought that we would just take his word and pay the extra amount without question. 3. There were several other smaller issues that I was not particularly happy with, such as having 5 appliances sitting in my garage for over 3 weeks after being told that they would be stored in his storage room. We also have a couple of cold spots in a heated floor because he did not order enough of the heating elements. By time this was discovered all of the floor had been installed. 4. All of the subs that Rylie used on our job were some of the best, but I must give a excellent rating to the carpenter, Dan who went above and beyond what should be expected, his craftsmanship is superb. 5. As of today, April 6th we are still waiting for the final touches to be done. Job was started on January 2nd. 6 All in all we are satisfied with the end result, our kitchen and bath look 100% better, but I don't think we would use his services again, nor could I honestly recommend him to a friend or family member, without at least passing on our experience. Rylie did an amazing job on our kitchen. 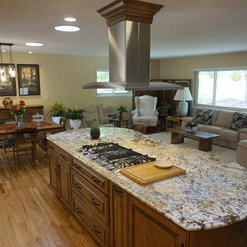 It was a complete remodel of counter tops, island, appliances, cabinets, lighting, floor, sinks -- you name it. The work was done on time and on budget. He was the creative force behind the design and personally supervised every stage of the process. We are (obviously) very pleased with the outcome and highly recommend RJL Designs for this kind of work. 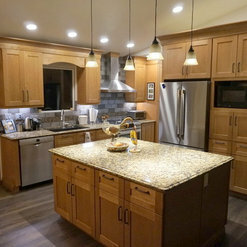 We would recommend Rylie no matter how small or large your remodel project, we had both! Every detail of our two projects was expertly executed. We are in our forever home and wanted to update and upgrade our bathrooms. Our son, who is a supervisor for the production of high end homes in Las Vegas was more than impressed with not only the quality of the work but the beauty and functionality of every detail. Rylie and his team were caring and professional from start to finish. We found Rylie through word of mouth and we'll pay it forward by referring him to our friends and neighbors who want only the best. 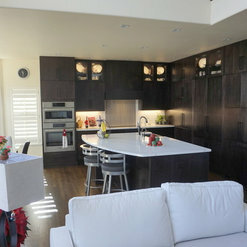 RJL Designs performed a complete interior renovation of my home in a three month period. 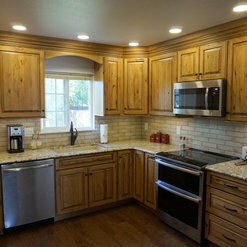 Work included the remodel of the kitchen (new cabinets, canned lighting, granite counters, electrical, flooring), three bathrooms, four bedrooms, family, dining, and living rooms. All popcorn ceilings were removed, textured and painted. He doubled the number of electrical outlets, installing ceiling lighting and fans in all bedrooms. Tile of my choice was installed in all baths. Carpeting was replaced with CORETec flooring. 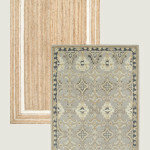 New carpeting in all bedrooms. New CAT6 wire installed to all locations where internet connectivity was needed. Wood fireplace was removed and replaced with a natural gas unit. New stair railings were installed on all floors. Complete home interior was repainted with the color of my choice. Rylie walked my wife and me through the selection process for all plumbing fixtures, granite, tile, lighting, and flooring. He encouraged daily visits to the house to view progress and answer any questions regarding where what needed to go vs. having the sub-contractors make these decisions. If something came up and we requested a change his consistent reply was "no problem - we'll change it." He is the consummate professional with years of construction experience that delivered great quality work on time and within budget. Rylie was a pleasure to with. We have more work we would like done to the house what will likely be performed next summer. 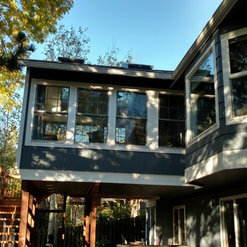 This home renovation was only one block from my home so it couldn't have been easier to keep control of through the process of the construction. It also helped to have great clients that made it through the myriad of design choices that come with a total interior remodel. We worked very closely on the decisions and bit off manageable chunks which kept the project moving at a good timely pace. It was my pleasure to complete this project for the Gearhardt's and to deliver to them a new home with the same address they have had for 33 years! Thanks to you Bob & Kristine. We hired Riley (RJL Designs-LLC) to do a complete remodel of our Master Bath to include demolition, removal and replacement of everything except the walls. No project is ever stress free but Rylie made as stressless as it could possibly be, and the results are fantastic. New cabinets, sinks, tub, lighting, toilet, flooring, and shower. We couldn't be happier. He was on property almost every day supervising and helping out the subs, all of whom were proficient, considerate, professional, and friendly. 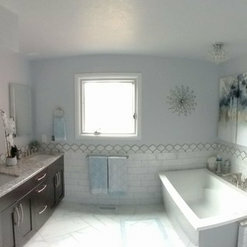 We'll definitely hire Rylie again to do our Main Bath. Working with Rylie and RJL Designs was a wonderful experience. From the first time we met with Rylie to our completed kitchen, we were impressed with his knowledge, professionalism and attention to detail. Every subcontractor used was efficient, professional, knew their trade well and cleaned up when they were finished. We were provided a weekly timeline and projected completion date, all of which were met. 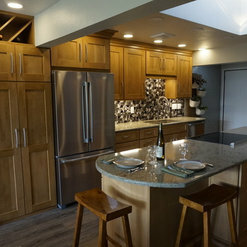 We were given a complete budget breakdown prior to starting the remodel and, with the exception of things we decided to upgrade, was the finished cost. 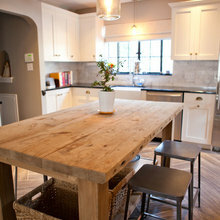 We couldn't be happier with our new kitchen and highly recommend RJL Designs to anyone looking to do a remodel. 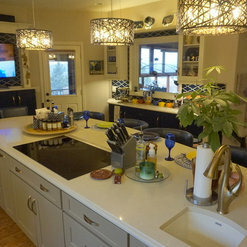 Our 25 year old abode needed a kitchen update and again we employed RJL Designs. What a wonderful space we now have & how very pleased we are with the finished space. Rylie listened to us & made what we could only imagine into stunning reality. All of the subcontractors were a pleasure to be around & did such quality work. We highly recommend RJL Designs to one and all. 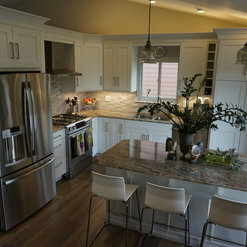 Commented: How do I transfer photos to my computer hard drive.You can add them to your Houzz Ideabook but not copy directly to your computer.